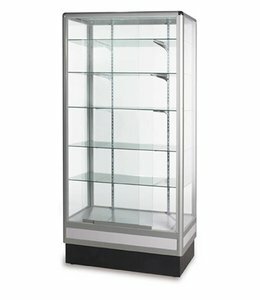 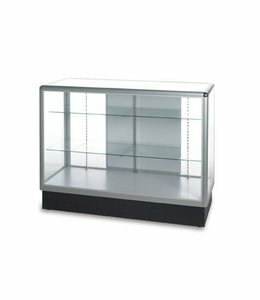 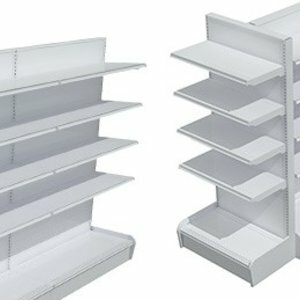 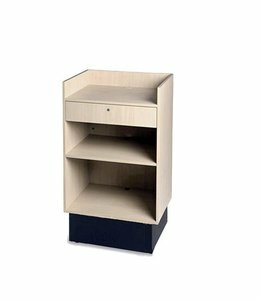 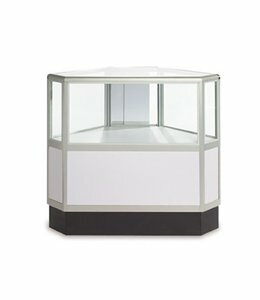 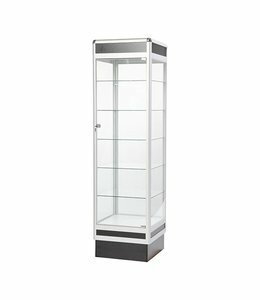 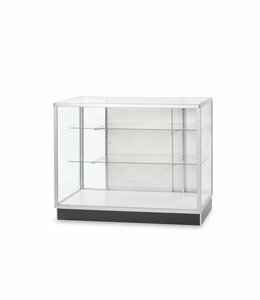 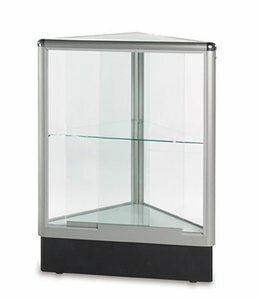 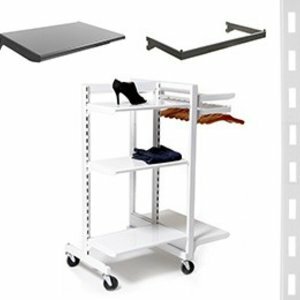 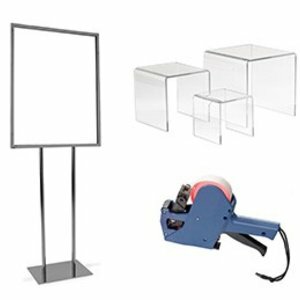 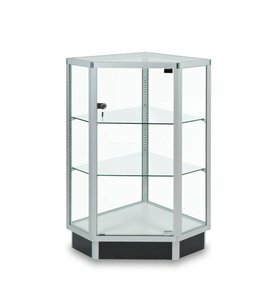 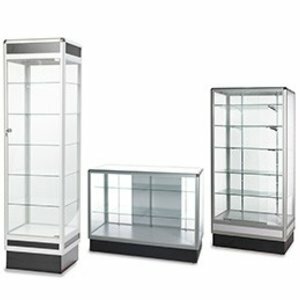 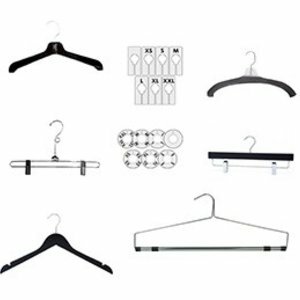 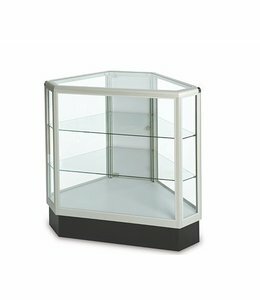 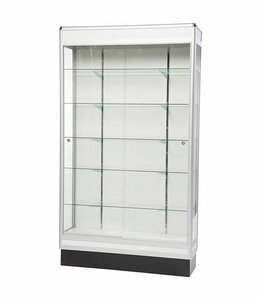 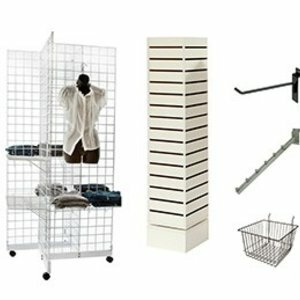 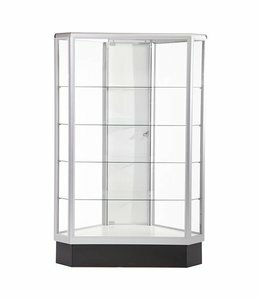 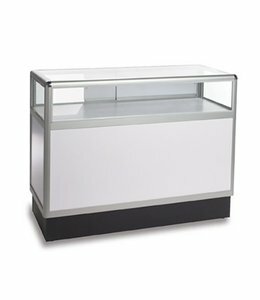 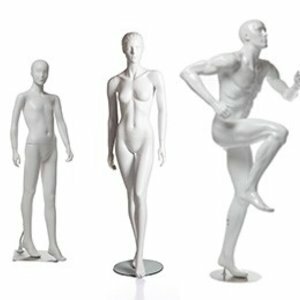 Glass display with aluminum frame - Mobico - Mobico inc.
20" x 20" x 72"H / Black, white or maple. 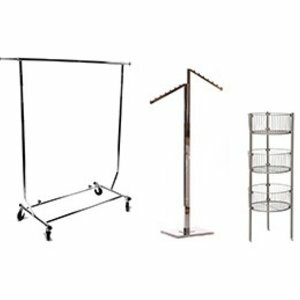 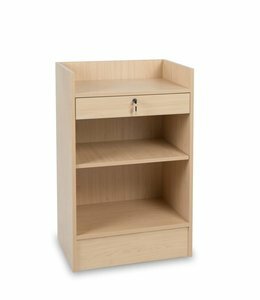 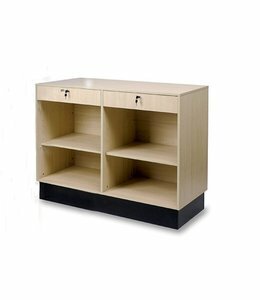 34’’ x 20’’ x 72’’H / Black, white or maple. 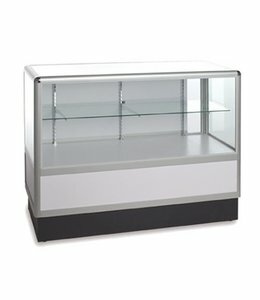 48” x 14” x 84”H / White, black and maple.